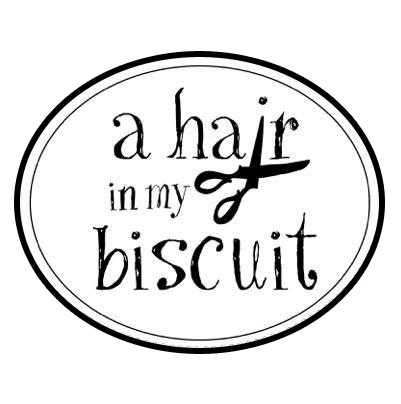 Welcome to my Etsy shop, AHairInMyBiscuit! Here you’ll find handmade, up-cycled salon wear, hairstylist tools, and my soothing, relaxing Flaxie Hugs, the best in home spa comfort! I started created up-cycled salon wear to fill my own need for a comfortable, lightweight cutting cape for big & tall clients. All I could find was heavy plastic with a scratchy velcro closure, so I made my own! All of my cutting and styling capes are made from repurposed materials like shower curtains and window treatments. Just a small way to add to the goals of your green salon! I have since added salon aprons to my collection, and my ever-popular magnetic bobby pin bracelets! You’ll also find my best-selling Flaxie Hugs, which are microwave heat/cold packs to help ease the aches, pains and stresses of working behind the chair (or anywhere else). I hope you love my beautiful, up-cycled salon wear as much as I love creating it for you! Please stay a while and browse, and I hope to see your order in my queue soon!